BARA is a member driven industry body that delivers value through setting the expectations and outcomes for Australia’s aviation infrastructure services. 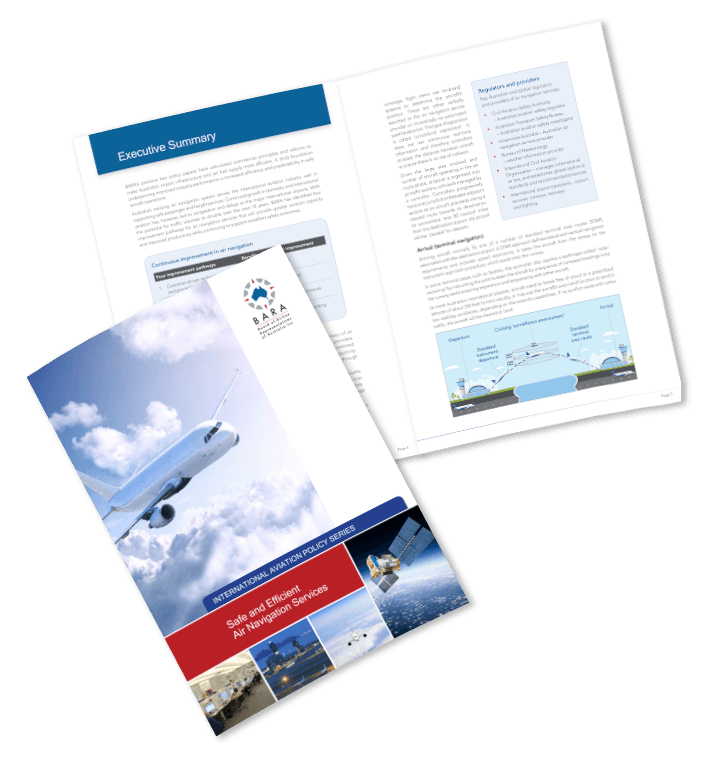 ​This paper articulates a series of pathways which aim to promote the ongoing development of air navigation services to allow aircraft to operate more efficiently and predictably, while maintaining safety. Central to this project was the need for a clear message and illustrations that visually explained complex aviation proceedures.